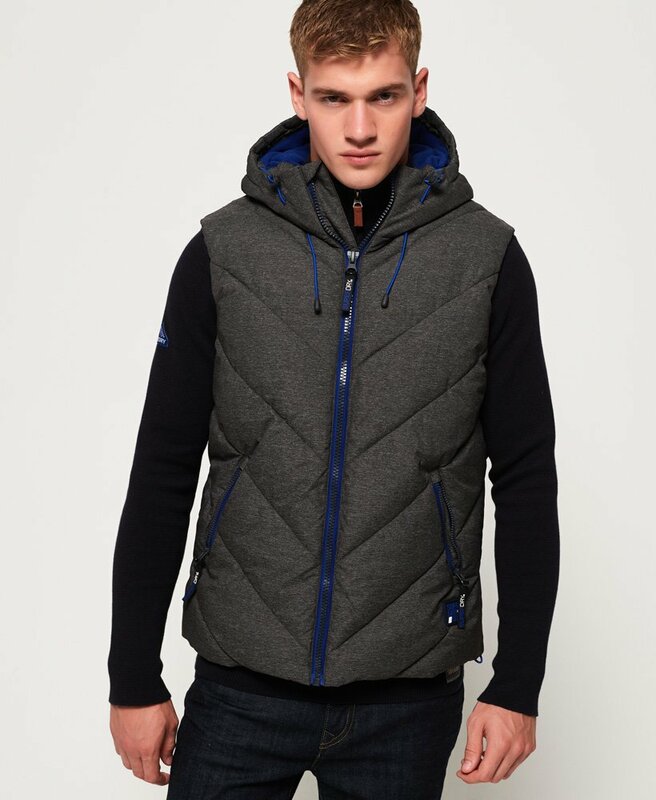 Superdry men's Xenon puffer gilet. This hooded gilet features a soft fleece lining and a quilted design to help keep you warm. Three external zipped pockets and a single zipped inner pocket give added practicality. The Xenon puffer gilet also features a bungee cord adjustable hood and hem, Superdry branded zip pullers and is finished with a rubberised Superdry logo badge just above the hem.